Imagine how much more you could get done if you could become more productive by doing less.If you’ve ever heard me speak, you know I’m never introduced as a ‘digital marketing expert’. Frankly, I don’t believe one even exists. How Can One Be An Expert of A Platform That’s So Dynamic? Even though I don’t claim to be an expert, I certainly strive to master all aspects of digital marketing. My thirst for knowledge leads me to say ‘yes’ to every opportunity that presents itself. I also try to read every email, white paper, and blog post I find interesting. To me, being productive means juggling everything that comes across my desk. And when I successfully complete these tasks, I still do an assessment to see how I can increase productivity. This is a serious problem people. I don’t want to suffer from dreaded “paralysis by analysis” habit. And I’ll be the first to admit. Something must change. So, I decided to flip this process on its head and attempt to become more productive by doing less. How to become more productive by doing less. Eliminating distractions was the first tactic I attempted to increase my productivity. I know this is easier said than done–especially when working in digital marketing. Checking emails, social media messages, and website analytics every 15 minutes has become an unavoidable daily habit. You just were distracted, weren’t you? If you still need help eliminating distractions, you may want to try one of these apps: AntiSocial, Freedom, or Cold Turkey. As often as possible, I attempt to convey the value of working smarter and not harder to my team. I try to optimize our production and workflow by finding the quickest way to reach the best result. As I continue to build my platform, I attempt to apply that same notion with my personal and professional activities. What’s working smarter look like to me? Well, I’ll start by saying that working smarter almost always starts with a strategy. A major pet peeve for me is redoing something that should have been done right in the first place. When working with businesses, I make sure I’m 100% comfortable with the strategy before I begin. It’s as important as my brand. Anytime I discover an easier, more efficient way to complete a task. Everything I did up to that point I consider ‘hard work’ because it shouldn’t have been done that way in the first place. Yes, I can be hard on myself sometimes. But hey, when the buck stops at you, you can only assess yourself. Another way to become more productive by doing less is to say no. If you’ve established yourself in your profession, you understand that saying yes to everyone and everything doesn’t fare well. Bottom line: you can’t make everyone happy. You can’t leverage every potential opportunity that presents itself. I found this out the hard way. Naturally, the more tasks and responsibilities you have, the greater the likelihood that there will be a misstep from an unassociated task. Learning this made me say no to many tasks and opportunities. So, if it wasn’t on my schedule, I just didn’t do it. Although simplistic in nature, it does wonders for my productivity! Most importantly, you should no longer be that ‘one-stop-shop solution’ that provides everything to every customer. 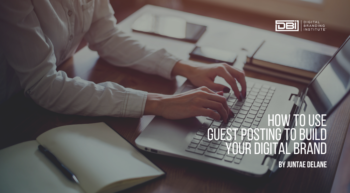 With the proliferation of digital media, there are more niche markets emerging and even more influencers and specialist vying for your customer’s attention. If you continue to provide all the services your customers will ever need, you will find it difficult to provide those customers with true value as they will never be completely satisfied. Narrowing your focus down to one thing (or a few things) will help you become more productive. And when you become more productive by doing less, you’ll better serve your customers. How do you become more productive by doing less? Do you agree that doing less is an asset?